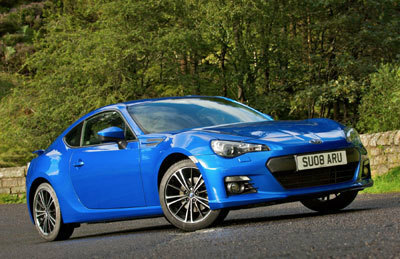 Subaru UK has expanded its range of affordable BRZ sports cars with the re-introduction of the entry level SE model. Priced at just £22,495 on the road it ensures affordable and accessible driving thrills more than ever before. The BRZ SE is powered by the same 2.0-litre horizontally-opposed Boxer petrol engine and boasts the same low centre of gravity and rear-wheel drive, aimed squarely at driving enthusiasts. The spec is generous too, with keyless entry and push-button start, dual-zone climate control, cruise control, sports seats, VSC, Torsen limited slip differential and front, side, curtain and knee airbags all standard. Satellite navigation remains a dealer fit option. For customers choosing the BRZ SE Lux, alcantara and leather trimmed seats with seat heaters are added to the features list. All auto models feature steering wheel-mounted gear shift paddles. This latest introduction to the Subaru stable is further evidence of the specialist Japanese brand bringing improved value to its customers and follows a range of price reductions in the UK including the launch of the new WRX STI at £4000 less than the old model. The Subaru BRZ and its sister model the Toyota GT-86 are manufactured at Subaru’s Gunma plant in Ota-city, Japan, part of a collaborative agreement between FHI Ltd and Toyota Motor Corporation. BRZ SE models are available in Subaru dealers from this month.